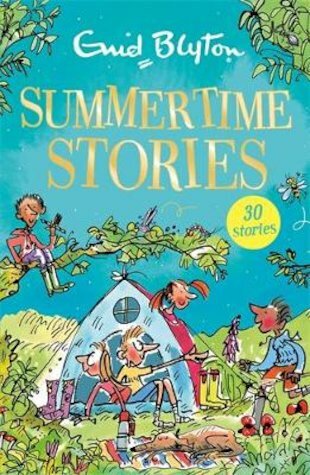 We’ve said it many times before: when it comes to the spirit of summer, nobody captures the mood like Enid Blyton. (Just think of the Famous Five, if you’ve read their books!) Clifftop picnics, outdoor adventures, beach games, smugglers’ coves: her stories bring them all to life. So find your favourite chill-out spot to read and relax – maybe under a tree, or by the pool, or even on a beach! Lose yourself in thirty short stories full of the excitement and magic of summer: the only thing that beats having fun in the sun. Don’t forget your flip-flops and sunnies! I have just read one storie and i think it is amazing!!!!!!!!!!!!!!!!!!!!!!!!!!!!!!!!!!!!!!!!!!!!!!!!!!!!!!!!!!!!!!!!!!!!!!!!!!!!!!!!!!!!!!!!!!!!!!!!!!!!!!!!!!!!!!!!!!!!!!!!!!!!!!!!!!!!!!!!!!!!!!!!!!!!!!!!!!!!!!!!!!!!!!!!!!!!!!!!!!!!!!!!!!!!!!!!!!!!!!!!!!!!!!!!!!!!!!!!!!!!!!!!!!!!!!!!!!!!!!!!!!!!!!!!!!!!!!!!!!!!!!!!!!!!!!!!!!!!!!!!!!!!!!!! !